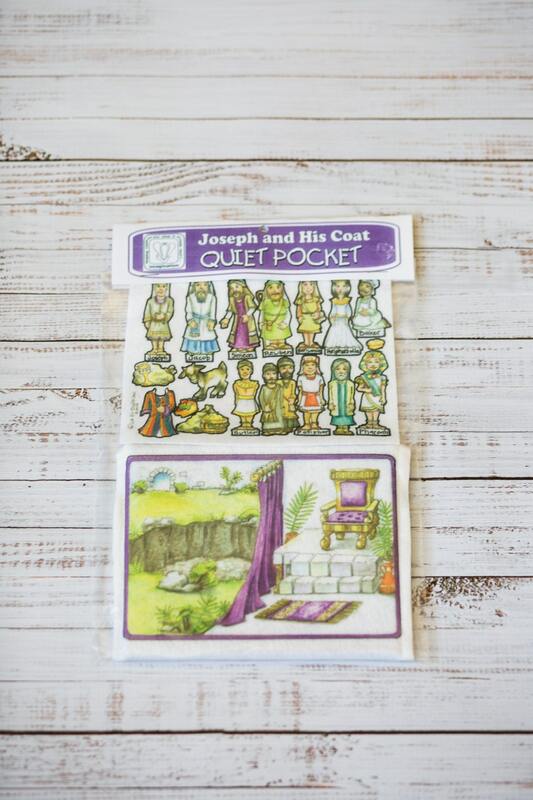 The Joseph and His Coat picture pocket is designed to let a child tell their own story by using the picture scene on the felt board and the felt board pieces of things you would see in Joseph's story to help entertain them for hours. Its also a great way to tell the story to children for them to learn it. 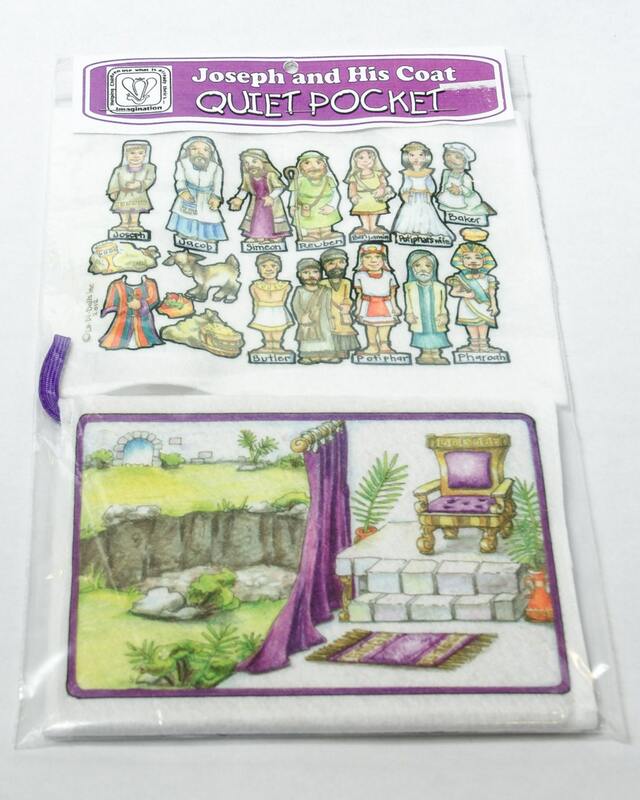 The felt board is designed with a pocket in the back where you are able to store all the felt board pieces. Then there is a handle to help carry it where ever it needs to go.